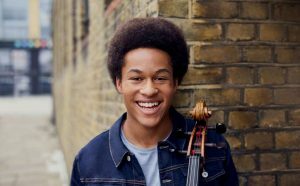 A box of fireworks for the opening night of our Festival, with BBC Young Musician winner and Royal Wedding artist Sheku Kanneh-Mason playing dazzling Tchaikovsky; the unforgettable poetry of the Lark Ascending; and extracts of Sally Beamish’s beautiful violin concerto written as “a brightly coloured picture book” to introduce her newborn daughter to the seasons and the elements. Finally Vivaldi’s endlessly fascinating Four Seasons burst into the 21st century, re-mixed with an atmospheric improvised soundtrack from Amsterdam’s World Champion DJ Kypski. Vivaldi – (with DJ Kypski) The Four Seasons.